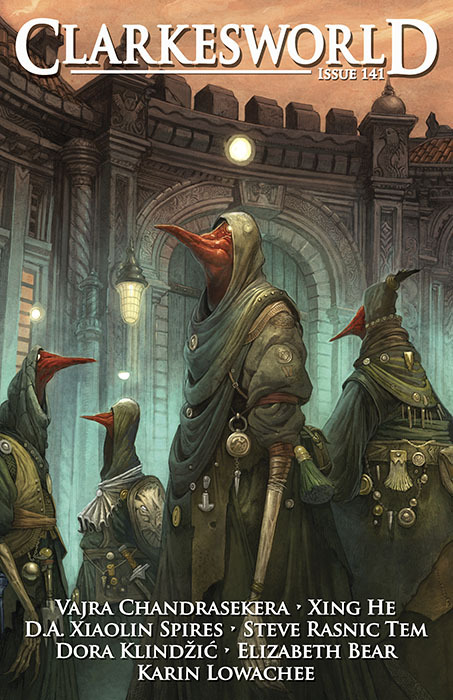 "Heron of Earth," by Vajra Chandrasekera [bio] (edited by Neil Clarke), appeared in Clarkesworld issue 141, published on June 1, 2018. Pro: The background information about the Sentimentals is probably the best thing about the story. Con: Nothing really happens here. She finds a strange print. Guesses it might be human. Sets up to try to kill it if it is. But we never find out.